When you think of wind power, it may conjure up an immediate image of large turbines. The long propeller blades picking up wind and generating electricity from such. The truth is that this image is much simpler than the complex operations happening internally. So, just exactly how does wind energy work? While you are right to assume that the blades catch wind, the internal main shaft is what is benefiting from this spin of the propellers. That main shaft is typically connected to a generator that is initially producing electricity. From there, the electricity is sent off to a collection station. Then it’s stored prior to being dispersed to an electricity grid. From the grid, the end-result electricity is then delivered to your home or office. Wind energy can be produced in many locations and states across the nation. Some states are well known for significant renewable capabilities. Our great state of Texas is a leading location boasting flat lands and ideal weather for these power-providing wind energy stations. Alongside the Lone Star State are also California, Iowa, Kansas and Oklahoma to name a few. Because of these ideal weather conditions, wind is much more common and therefore much more accessible as means for wind power. The majority of this wind energy is captured and collected in the evening. Texas still displays ideal wind conditions during the day as well. This allows for even more energy usage during an optimal time. The time energy use is equally in high demand by consumers. This is known as a convection current, and as the name implies, refers to heat. Wind is a form of solar energy caused by the uneven heating of the atmosphere by the sun. The irregularities on the earth’s surface and rotation of the Earth offer ideal conditions for wind power mid-day. You may pass by a row of what seems like endless turbines in a field that are barely moving. That doesn’t mean they aren’t generating electricity. In fact, wind turbines can produce electricity even when they are not spinning, through energy storage. Just one of those turbines alone, spinning or not, is likely the catalyst behind providing energy to thousands. Not only does wind power generate electricity for consumers, but it also positively impacts employment and income of locals. Managing a turbine farm can earn an engineer an average salary of $50,000 per year, helping to stimulate the local economy. While there are over 10,700 wind turbines currently operating in Texas to generate electricity, there are still 80,000 windmills operating in Texas for pumping water, indicating the amount of growth potential still left for wind power generation. To date, the tallest wind turbines in the United States are installed in Texas. They tower at 345 feet high and known as the Vestas V90 Turbines. Texas continues to lead in green energy solutions like wind power and recently benefit from more than $1 billion in wind farms along rural areas of the Texas Gulf by electricity company, Duke Energy. 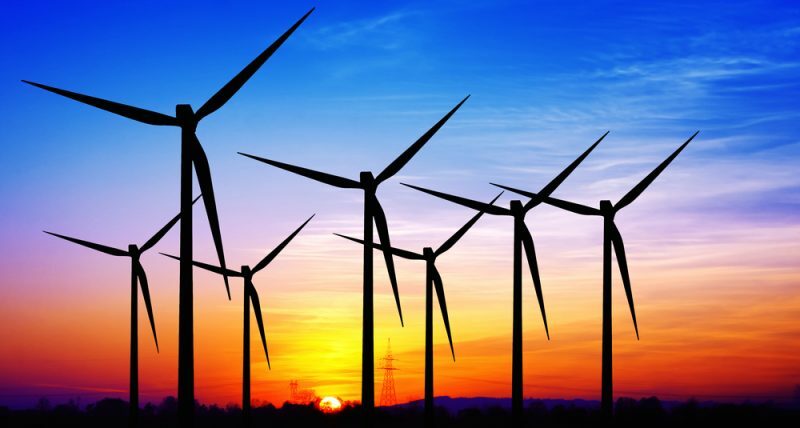 While Texas may also be known for oil and coal for producing energy, wind power is close behind and far more sustainable, making it an industry that is highly competitive and expansive. Even if you don’t foresee yourself managing a turbine field, you can certainly benefit from its value. Simply check for electric companies and energy providers that offer energy-saving opportunities. These could be incentives or green programs to help you save on your utility bill while saving the planet.